As our name suggests, P&O Heritage, exists to preserve and celebrate the maritime history and collections of P&O, one of the best known shipping companies in the world. We have designed our website to allow our collections - and the rich heritage of P&O - to be more accessible to the public, thereby continuing to keep alive the memory of the enormous contribution P&O has made to numerous people and countries around the world for 180 years. 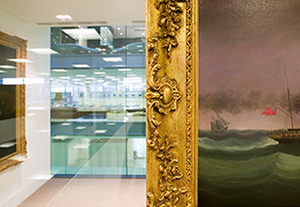 Behind the scenes, the P&O Heritage Collection, is cared for by a small dedicated team of three: Curator, Digital Curator and Web editor and Conservator, based in European regional headquarters of DP World. 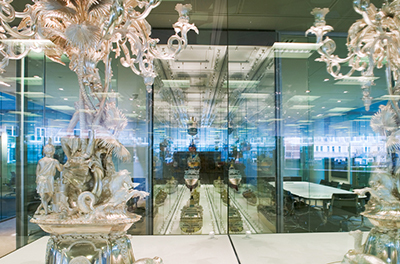 Our vast and varied collections of archives and artefacts tell the story of P&O and the numerous shipping lines it acquired, including Orient Line, British India and many more.